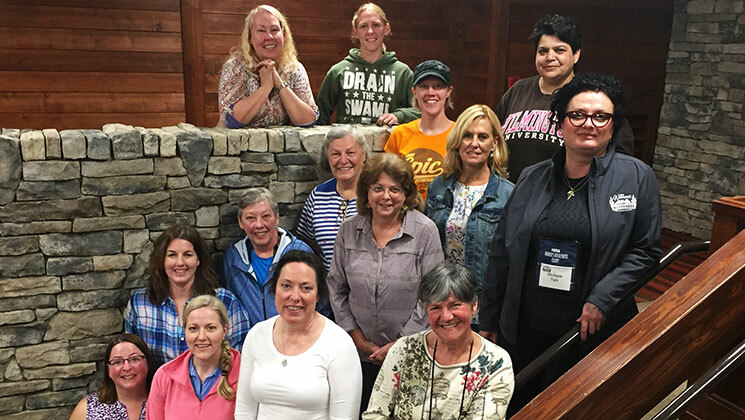 The NRA welcomed 14 women nationwide to its 4th annual NRA Women’s Wilderness Escape (WWE) at the Seven Springs Mountain Resort in Seven Springs, Pa., June 1-3, to experience “the ultimate outdoor adventure.” The two-day event welcomes women of all skill levels ages 18 and older to learn about shooting, hunting and life in the great outdoors under the supervision of NRA Certified Instructors and outdoor specialists. Participants were guided each step of the way, starting with the basics of safe and proper firearms handling, while learning tips for preparing their own adventures. Interesting to note, these NRA women were split exactly down the middle with half of them having some shooting experience and the rest having none at all. They came from as far as California and represented all walks of life—including a teacher, an attorney and a medical field professional. The weekend began with two hours of classroom instruction from an NRA-certified shotgun coach followed by a few hours of shooting on the facility’s five-stand. The rest of the day was spent shooting on the sporting clays course while continuing to receive personal instruction. The ladies were troopers because it was a wet rainy day, but their spirits were high and everyone was having fun. That evening an instructor provided medical-care training and instruction on how to address a variety of trauma situations. Day No. 2 included opportunities for more instruction and five-stand shooting alongside NRA instructors. While that afternoon was set aside for free time to visit the onsite spa, or take a hike several participants chose to stay behind and shoot more. Among the instructors on hand was NRA’s Peter Churchbourne, Director of NRA Hunter Services, who says he enjoys being involved with the WWE because it’s gratifying to witness participants’ excitement over learning to shoot for the first time. “Watching a new shooter build confidence and empowerment by going from never having shot a gun to hitting flying clay targets is an awesome transformation to witness,” he said. Churchbourne hopes to expand WWE program offerings while keeping participants’ cost to a minimum. As a longtime NRA employee and NRA Endowment Life member, I am proud to see how the WWE is a priority for my organization. It is yet another example of the NRA’s commitment to fostering the growth of hunting and the shooting sports. 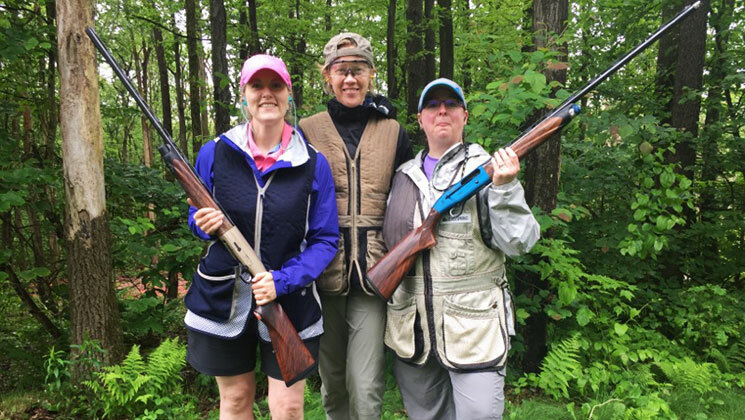 From Churchbourne’s perspective, the WWE specifically is a great way to introduce women to the shooting sports and then maybe to the next step: going hunting. Despite almost nonstop rain over the two days, participants said they had a great time. Many said they hope to see the NRA offer more WWE weekend adventures. After all, who wouldn’t enjoy a fun event where no previous firearm experience is required and where lodging and meals are all included? For more details on the WWE, please click here.